Zombies! | They Might Be Gazebos! It’s Halloween time and that means all sorts of cheap finds. 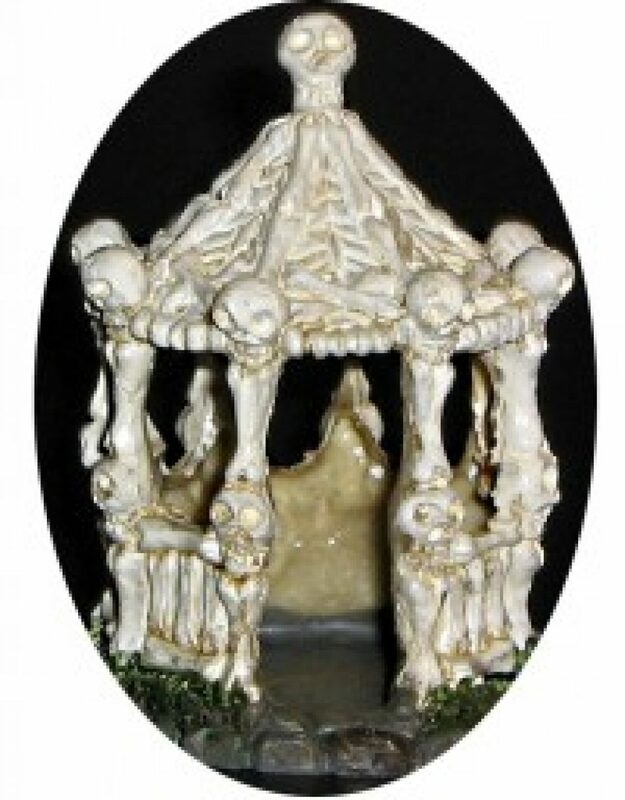 There’s the Skeleton Army that’s going around and these’ have been doing around too. I don’t remember where I saw them first. Not sure if it was Facebook or G+ but I finally found some at the local Dollar Tree. Now, interesting things. They weren’t with the rest of the Halloween stuff but with the toys. So you might need to check depending. As you can see below, they are bigger than your standard 25mm mini’s. But then for just $1, you get 10 zombies (some appear in modern attire). two tombstones, and two zombie dogs. Not a bad. I’m starting to get a good collection of these oversized mini’s at dirt cheap prices. 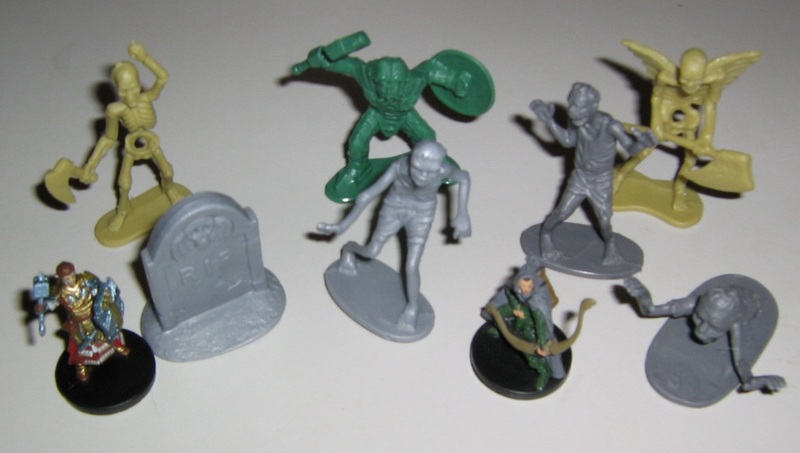 Here they are pictured with some of the skeletons, some standard scale mini’s and one of the Mythic Bucket mini’s.